What Can Plex Server and Play Media Player Actually Do? Plex is a popular media player solution for people who want to stream their media content to other devices, like TV, Xbmc, Aamazon Fire TV, Samsung Smart TV wirelessly. This home media playback system is compatible with many platforms like Windows, Mac OS, and many flavors of Linux, as well as many NAS devices like ReadyNAS or Synology. With Plex server, you can easily create a full-featured and sophisticated home media playback system that can include many screens or devices. It's easy to set up for both your home and mobile viewing, like iPad, iPhone, iTouch or Android devices. However, Plex company has stated clearly that Plex can't support iTunes videos for playing or streaming. The main reason caused this is that Apple makes its digital content too much proprietary. The Fairplay DRM protection prevent us watching the iTunes purchased and rental movies/TV shows on any Non-Apple products. Of course Plex is included. But here we want to show you how to stream iTunes DRMed videos to Plex. First thing we should do is removing the Fairplay DRM protection. 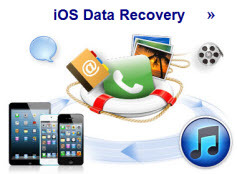 TunesKit DRM Media Converter is a strongly recommended DRM removal software to crack Fairplay DRM protection from iTunes purchased and rented movies/TV shows. By adopting advanced DRM stripping and codec technologies, TunesKit will convert iTunes DRMed M4V videos to MP4 format in 20x-30x faster speed and 100% preserved quality. After converted with TunesKit, you are free to add the converted MP4 videos to Plex. Plex Media Server is compatible with Mac, Windows and Linux etc. Here we will talk about how to set up Plex media server on Mac OS X.
Download the Plex media server zip file from https://plex.tv/downloads, then unzip the file and drag the Plex media server icon to application folder. 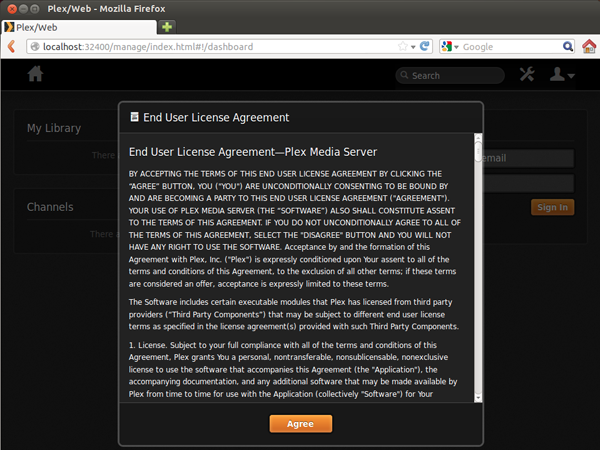 Launch Plex media server with your browser, then you'll be greeted with a screen us geeks are all too familiar with, an End User License Agreement. Step 3. Customize your Friendly name for Plex media server, and add a section for movie. You are required to customize a friendly name of your Plex media server. If you leave it default, the friendly name will be your computer name. Click "Next", then you can add a section of yourself. There are multiple choices for you to setup a setion, like Movies, Music, TV shows, Photos etc. After adding sections, you will get different channels from internet. By login with your Plex account, you can add any channels you like to Plex media server and stream the channel content to other devices. 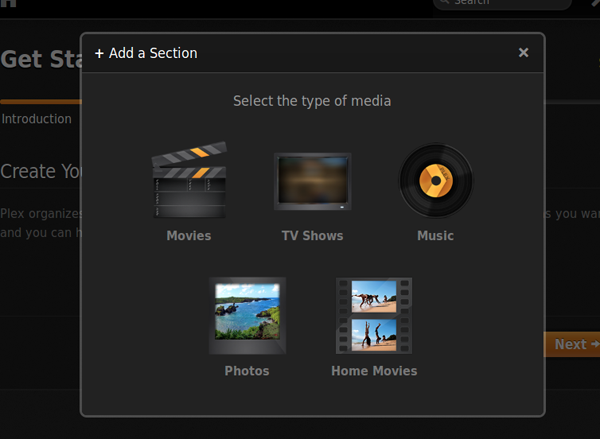 To play iTunes movies via Plex, you can add the converted MP4 iTunes movies to Plex media server freely. 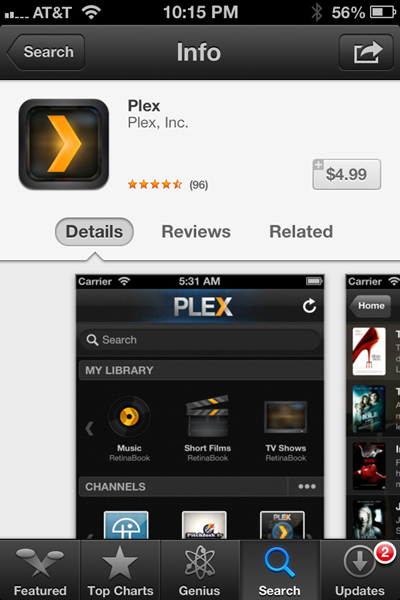 To stream videos, music or photos from computer to iOS or android devices via Plex media server, you need to buy the Plex app in Apple app store or Google Play. It's $4.99 either way. With this smart mobile app on iOS or Android devices, you can enjoy all your media wirelessly on your mobile devices. What's amazing is that the Plex will find your library automatically once you launch the App. With Plex media server, you can also stream media to Xbox, Playstation, Chromecast, Roku, Amazon Fire TV and Samsung Smart TV etc. * What can Plex do for us? * How to stream iTunes movies to XBMC? * How to stream iTunes movies via Chromecast?